WLC Aditiv Nada Capsuna - 350gr. WLC Aditiv Nada CSL Natur - 350gr. WLC ADITIV NADA PORUMB DULCE - 350 GR. WLC ADITIV NADA PRUNA - 350 GR. WLC ADITIV NADA USTUROI - 350 GR. WLC ADITIV NADA CAPSUNA - 700 GR. WLC ADITIV NADA CSL NATUR - 700 GR. WLC ADITIV NADA SQUID OCTOPUS - 700 GR. WLC ADITIV NADA SQUID PRUNA - 700 GR. WLC ADITIV NADA SQUID USTUROI - 700 GR. WLC AMESTEC SACULET SOLUBIL CAPSUNA 1Kg. 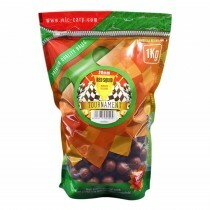 WLC AMESTEC SACULET SOLUBIL PORUMB DULCE 1Kg. WLC AMESTEC SACULET SOLUBIL PRUNA 1Kg. WLC AMESTEC SACULET SOLUBIL SQUID&OCTOPUS 1Kg. WLC AMESTEC SACULET SOLUBIL USTUROI 1Kg.